Let’s face it, running a restaurant is tough tough business. 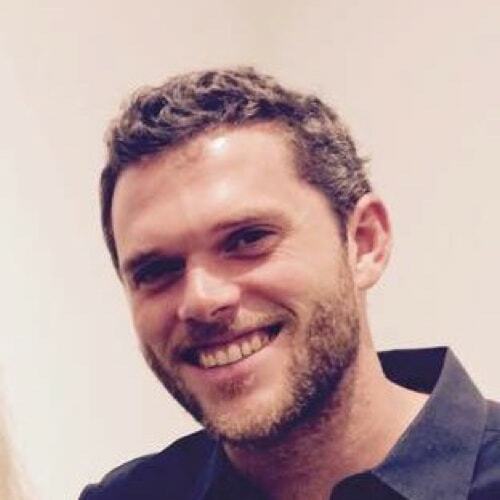 High turnover, low margins, and an incredibly fast pace can drive anyone crazy. By taking a deep dive into understanding your food costs, you can improve your chances for success. Food costing is the most effective means to not only differentiate your restaurant from competition, but is also often the difference between a failing and thriving restaurant. In this article, we will walk you through the exact steps you need to take to calculate your ideal and actual food costs so you can identify where you might be able to save money. You can also skip all this and download our free food cost calculator that will get you started right away! What is Food Cost Calculation? Before we jump into the specifics for calculating your food cost, let’s first understand what food cost calculation actually means. 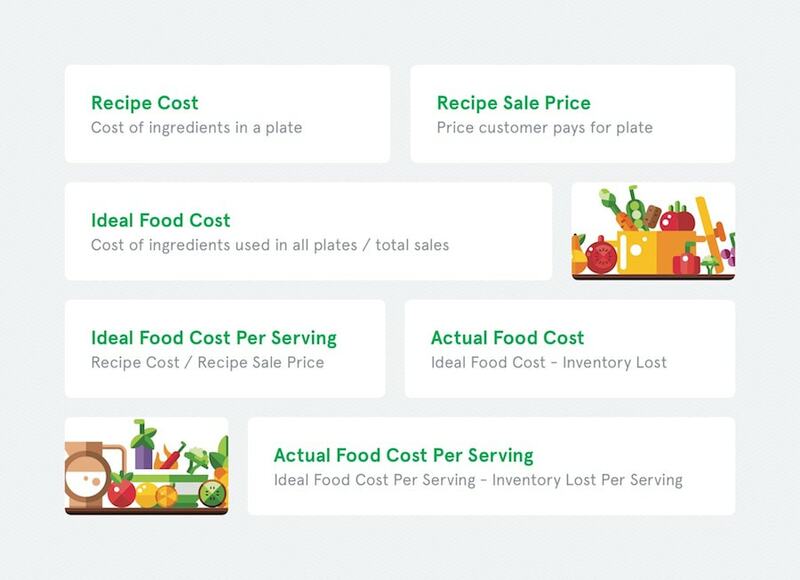 “Food Cost” is the ratio of the cost of ingredients (inventory) and the revenue that those ingredients generate when dishes are sold (food sales). Food Cost is always presented as a percentage. We’ll see how we determine this percentage below. Why is Food Cost Percentage Important? Food Costing is one of the most important indicators of profitability for a restaurant. With razor thin margins (3-5%), the slightest change in the price of goods and/or the amount of sales can affect a restaurant’s bottom line significantly. By monitoring your food cost (typically between 20-35%) a restauranteur can know when to change prices, products and purchase quantities to improve his or her percentage. Ideal food cost is the theoretical food cost percentage that would exist in a perfect world. Actual food cost takes into account beginning and ending inventory levels and will always be a higher percentage than the ideal food cost. Let’s first take a look at how we can calculate the ideal food cost. Below, I walk you through a simple example, which will make everything very clear. Bill’s Buffalo Chicken sells drum stick plates for $21/plate. Each plate consists of 8 drum sticks and 1 portion of buffalo sauce. 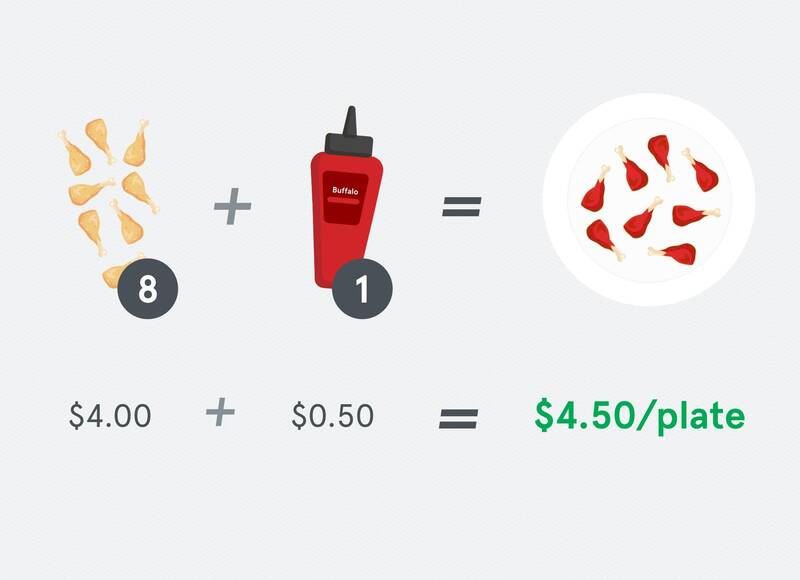 Let’s plug those numbers into the ideal food cost formula. Now remember, this is the ideal food cost. This doesn’t take into account a lot of things that can go wrong in a restaurant like serving inconsistent portions, lack of training, waste and spillage. Let’s see how to calculate our actual food cost. Below we lay out the exact steps you need to track your inventory. We will use these numbers to calculate your actual food cost. Beginning Inventory value Is the total cost of every item in your inventory. Purchases value is the amount spent on new inventory that week or period. Ending Inventory value is the total cost of every item in your inventory at the end of the week and after all purchases have come in. Food Sales is the total retail food sales to customers that week or period. Let’s continue our example from before. 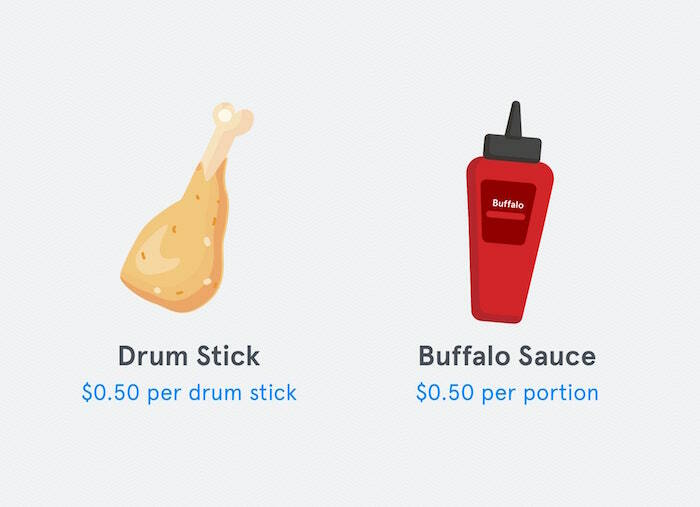 Sales of buffalo drum sticks for the week come to $210. 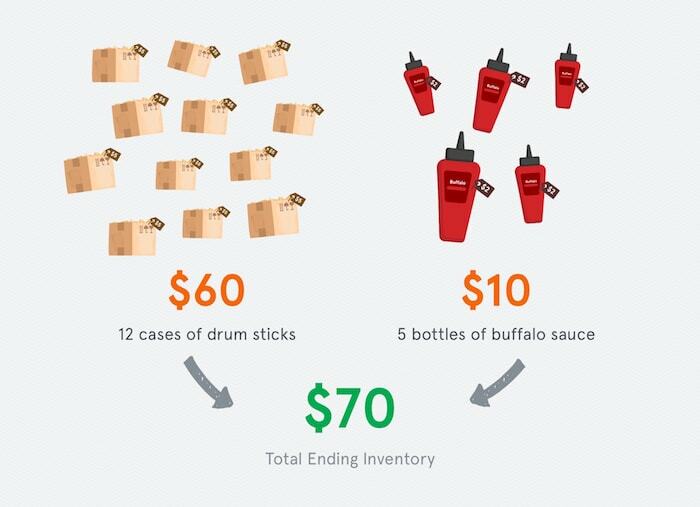 During the week you purchase 7 cases of drum sticks ($35) and 6 bottles of buffalo sauce ($12). Now we will plug those numbers into the actual food cost formula. We just calculated our food cost percentage taking into account our beginning and ending inventories. 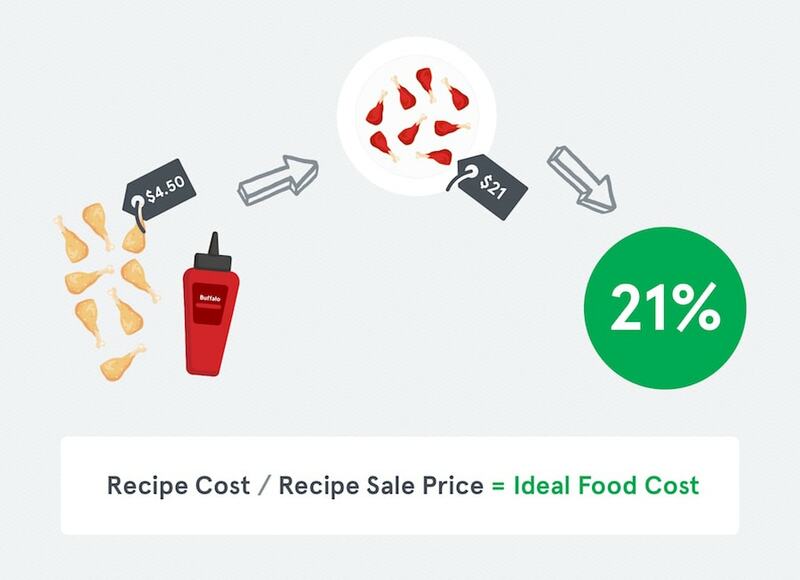 An actual food cost percentage of 28% is pretty good, but our ideal food cost was 21%. Since we sold 10 plates, we should have only gone through 8 cases of drum sticks, not 9. Put differently, our actual cost of drum sticks = $45 but it should have been $40 in a perfect world. Since we sold 10 plates, we should have only gone through 2.5 bottle of buffalo sauce, not 7. Our actual cost of bottles used = $14 but it should have been $5 in a perfect world. Something is happening with our buffalo sauce! Either the portion size is way too large, someone is stealing bottles or they’re being thrown out by accident. But now we know there is an issue and we can start to investigate and prevent further unnecessary spending. Let’s Revisit the Question: How Important is Food Cost? Let’s say you have a restaurant with $400,000 in revenue. Look at these two scenarios. Conclusion: a 1% decrease in food cost is 5% more cash you can keep in your pocket. 30% or below = Food Cost Percentage that restaurateurs should aim for. 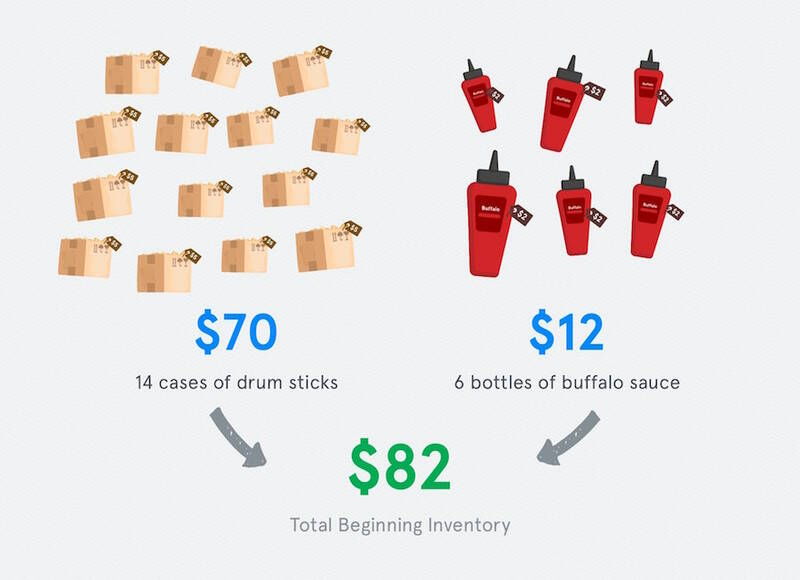 Tracking inventory and applying some of the math we went through before can be incredibly powerful in pinpointing food waste issues within your restaurant. However, it’s easy to make a mistake or miss a step. Don’t mistake your ideal food cost for your actual food cost. This will give you a false sense of profitability. Don’t forget to factor in the purchases during the allotted period when calculating your change in inventory. Taking correct inventory is paramount for determining accurate food cost. Clerical errors can throw everything off. Be mindful of the correct units and always use updated price information. 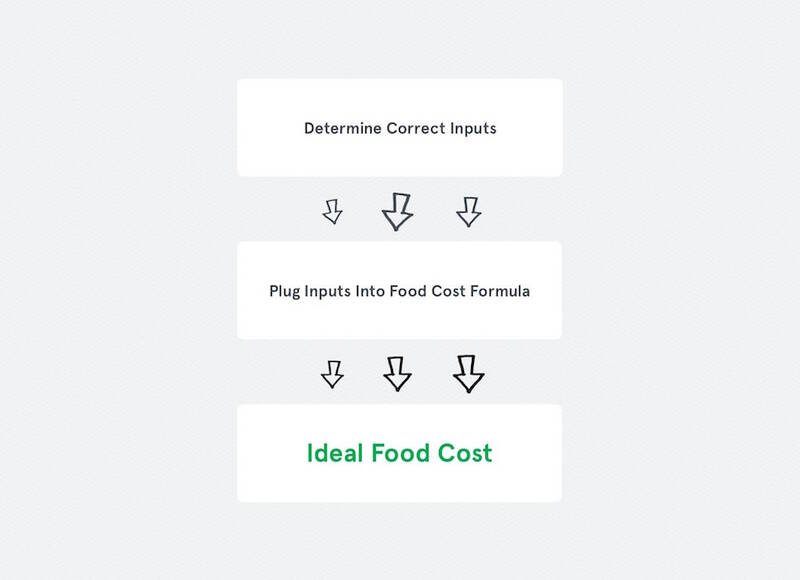 Beyond calculating your ideal versus actual food cost to detect food waste issues, there’s a number of other best practices you can take to help improve your food cost. In this section, we walk you through our top 4 recommendations. Roll out small, incremental price increases on menu items that require a higher sales price to achieve your ideal food cost. Monitor how much food is left on dishes that come back to the kitchen and adjust portion sizes accordingly. Reducing waste drives revenue and it’s better for the environment. Beware of seasonal price fluctuations and adjust your menu options accordingly. If ingredients go up in price or dishes become less popular, change your menu to meet the preferences of your customers. Carefully analyze your recipe composition and try to use more of the less expensive ingredients and fewer of the pricey ones. Be careful to not diminish the overall quality of the dish, which can result in a decrease in sales and increase in food cost. Pricing a menu is not as simple as looking at the costs of ingredients and applying a sales price that keeps your food cost low. This would result in soups priced too inexpensively and steaks being unaffordable. A well priced menu consists of a healthy food cost and an optimal product blend that generates sales of both high margin, inexpensive items and low margin, high price items. Figure out where and when to use expensive ingredients. Find a balance of price and quantity that will bring in enough money per plate while also satisfying the customer. When you add a new menu item, always ask yourself; 1) What is the food cost of this plate and 2) What plates will people not order because of this plate. You don’t want to cannibalize your high-performing menu options. Don’t over analyze menu pricing to the point where you compromise your identity as a restaurant. 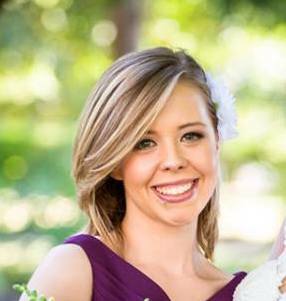 Make sure you meet or exceed your customers’ expectations of menu options. Figure out your best and worst case dining scenarios. If a customer comes in and only orders a coke, what does that cost your restaurant in terms of time and table space. You may also use technology solutions like POS systems in order to manage food costs and inventory along with many other aspects of running your restaurant. We would love to hear your thoughts and personal experiences in optimizing your food cost. Have a tip not discussed here? Please share it!